As legend has it, the storyteller Aesop was a slave who lived in ancient Greece during the sixth century B.C. His memorable, recountable fables have brought amusing characters to life and driven home thought-provoking morals for generations of listeners and modern-day readers. Translated into countless languages and familiar to people around the world, Aesop's fables never tarnish despite being told again and again. 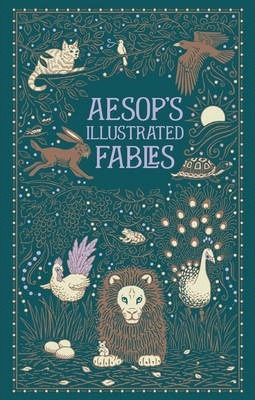 Full of humor, insight, and wit, the tales in Aesop's Fables champion the value of hard work and perseverance, compassion for others, and honesty. They are age-old wisdom in a delicious form, for the consumption of adults and children alike.